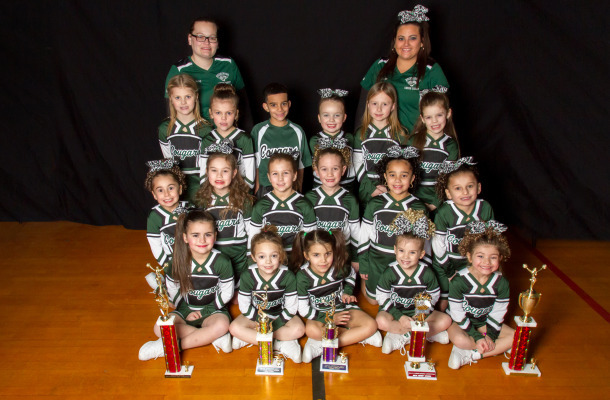 Cheerleading registrations begin on April 15th 2015 – – Every Wednesday thru the end of May – – (Wednesday’s only) from 6:00 to 7:30 at the Bridesburg Recreation Center – – Registration cost is $125.00 to start and is due at time of registration. Please note that online registration will NOT be available, you will need to go the Recreation Center on the assigned dates to register. Visit ​AFSCME District Council 33 here. Visit Bridesburg Spine and Injury Clinic here. Mulvey, Flanagan & Budney, P.C. Contact Mulvey, Flanagan & Budney here. Visit the Polish Beneficial Association here. We are the Bridesburg Cougars! The purpose for which the club is organized shall be promotion, management, administration and conduct of athletic activities for the youth of Bridesburg and all neighboring communities and to perform other acts of charitable and civic nature on a non-profit basis for which the club shall have all lawful powers.